CHICAGO -- The Disney ABC and FosterMore PSA campaign, "You Were There," showcases individuals who were in foster care at one point in their lives. "You Were There" is airing across linear and digital platforms at ABC, Disney Channels Worldwide, and Freeform. 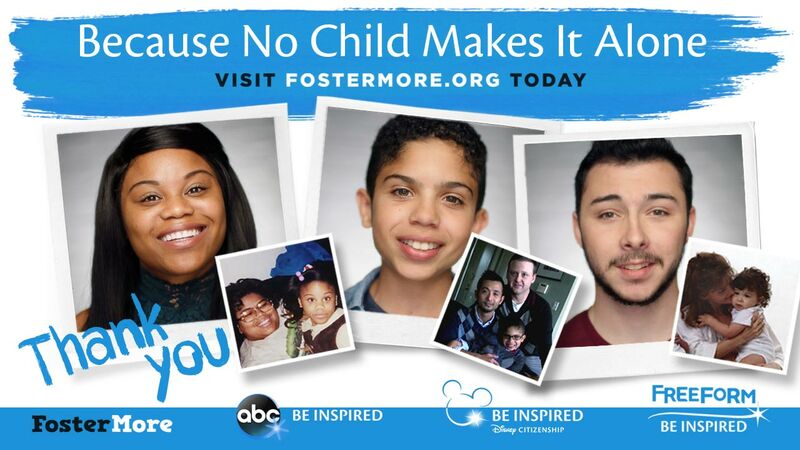 The Disney ABC and FosterMore PSA campaign. FosterMore shines a light on the amazing potential of kids and families in the foster care system, and empowers all foster kids to achieve their dreams through education. FosterMore encourages all of us to play a part in ensuring that foster youth receive the support, nurturing, and guidance they need to succeed in life.